Keeping employees happy has always been the most difficult responsibility of a business owner. You can predict numbers and the economic climate to an extent, but the happiness of your company’s backbone is a variable that isn’t as easy to handle. Fortunately, you don’t necessarily have to spend money on employee wellness programs and initiatives to keep your workplace a great place for getting work accomplished. Something as simple as proper arrangement and the right kind of furniture can help improve employee mood, and to an extent, increase productivity. Take a good look at your office space because it’s the first thing you should change if you want your employees to be happier. 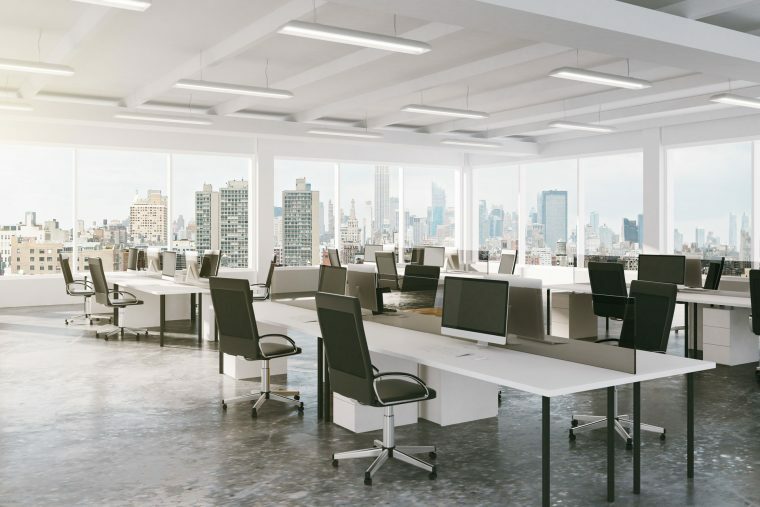 It’s no secret that a cramped office space won’t exactly win awards in terms of employee happiness, but did you also know that an office space that is too open can also lead to reduced productivity? Don’t make the mistake of making your office too open or too enclosed. We suggest a mixture of both; this mixed space office place should have ample room where employees can move around and lounge about during their break times, as well as closed workspaces that’ll give them room to think and perform their duties efficiently. Consider planning out a mixed office space the next time you’re rearranging or fitting out your office partitioning. While we’re all about green office spaces, take care that you don’t go overboard. Most business owners make the mistake of filling every nook and cranny of the office with green patches and flowery accessories to improve the atmosphere; as always, too much of everything isn’t good, and in this case, it can be very distracting. We’re not saying you should get rid of all the plants in your office space. Instead, use them as accents to improve and enhance your office spaces instead of making them the centrepiece. Adding one potted plant to a cubicle, contrasting with technological implements, is enough to improve workspace mood and atmosphere, while still keeping things productive. Finally, the right colour tones can improve not only the look of your office space, but also the overall mood and productivity of employees. Avoid white paint as it is boring and suggests coldness and aloofness – traits you don’t want your employees incorporating. Neutral colours such as blue, green, and grey should dominate the actual workplace. These tones are calming and can improve productivity by emitting an atmosphere of tranquillity and balance. On the other hand, lighter shades of red, orange, and green are better in spaces where you want your employees to be more active as they emit lively and energetic moods. At The Caretakers, we know how instrumental the arrangement of your office space is in improving your employee’s happiness and productivity. Contact us today and we’ll help you with refit your workplace and make it more a place that’s both employee friendly and productive.